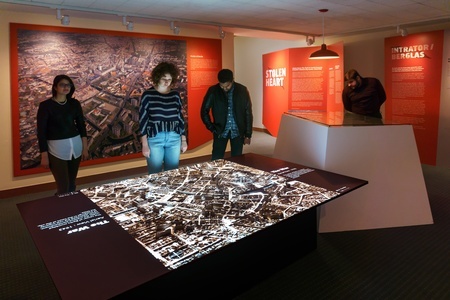 The exhibition Stolen Heart tracks the rise of Jewish business and property owners and their contributions to Berlin’s central district, Mitte, until the 1930s after which state-sponsored "Aryanization" resulted in the destruction and theft of Jewish-owned properties. The story is told through five families before, during, and after World War II. 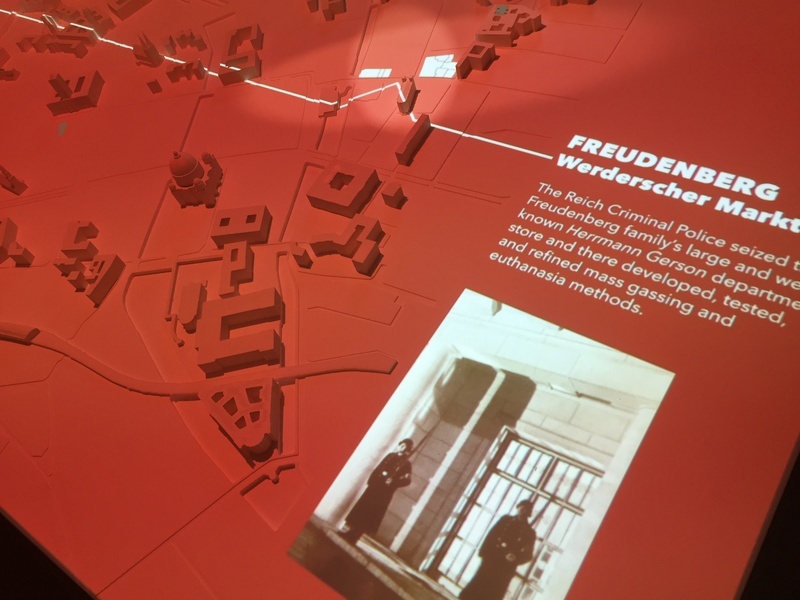 Along with designing the exhibit environment, C&G Partners created a 3D video map to illustrate the expropriation of the five Jewish family homes and businesses. The map features homes and properties in context with aerial views of the city center from 1933 to present day. 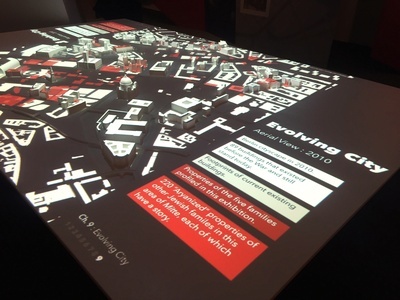 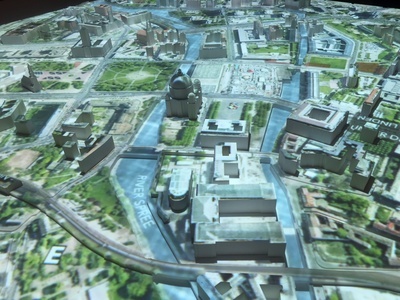 The video, incorporating archival images and topographic time-lapse elements, is projected onto a 3D-printed 1:1500 scale model of Mitte.